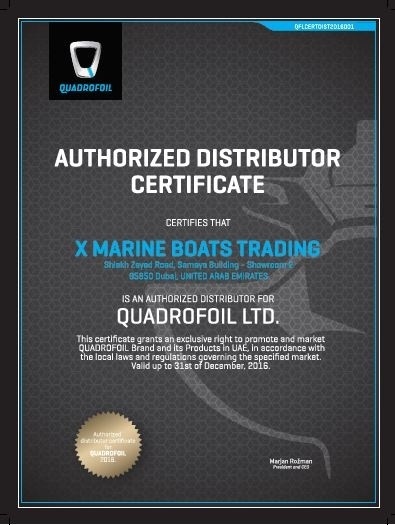 Quadrofoil promoted their partner X Marine Boats Trading from United Arab Emirates and presented them with the first Authorized Distributor Certificate. 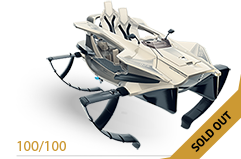 Authorized Distributorship Agreement is reserved for Quadrofoil's partners who have shown tremendous belief in Quadrofoil and placed bigger orders for our game-changing watercraft. 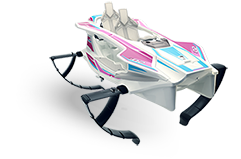 X Marine Boats Trading recognized Quadrofoil's potential and confirmed their participation in changing the future by issuing an substantial order. With this gesture, Quadrofoil strengthen its presence in the Gulf Region and yet again sent a clear message that (r)evolution has already started. 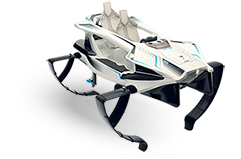 UAE is a very important market for our all electric personal hydrofoiling watercraft (ePHW), as current sales in this area constitute the majority of orders we have received worldwide. With bold plans for the future, a significant market presence and raise in sales is expected – not only in UAE, but in all Gulf States. X Marine Boats Trading is the first from a list of Quadrofoil's Authorized Dealers to be granted with an Authorized Distributor Certificate.